How Do We Measure Plate Movement? Welcome to my website! 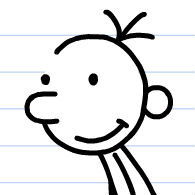 My name is Greg Heffley and this is my learning journal, I am a grade 7 student in Vancouver, British Columbia! I'm making this website or e-folio to show what I've learned throughout this 2012/2013 school year. This year I will look forward to expand my learning, and some of my passions are playing hockey and dancing/break dancing! This year my class will use prezi which is an upgrade from powerpoint presentation, iMovie from the iPads, Pixlr for editing photos online, Animoto to make little slideshows, and more! My goal is to get my viewers to find the right information and learn plenty from my website, I hope you find the right information and feel free to comment where you are from!